Drones have become a must-have toy for adults, but they are also becoming staples to help businesses optimize. If you’ve been thinking about indulging in your own private drone, now is the best time to act. There are drones for every budget, gizmos kitted out with high-quality cameras, and an array of features and options you may choose to add on. Take a cue from industries and businesses that are already enjoying everything these state-of-the-art gadgets have to offer. Medical professionals have been thinking about using drones for patient pick-up (and helping to avoid traffic issues at the same time), and of course Amazon got big airplay earlier this year for talking about using drone delivery in key metro areas. Real estate agents use drones to take aerial photos and videos of properties, and these miniature flying platforms are even being used as added security during special events or at the homes of celebrities. Everyone else is droning on. Should you join the crowd? You can find drones anywhere from a few hundred dollars to several thousand, so it’s all about your budget. However, you should also consider what you’ll be using it for. Is the drone just a toy you want to check out, or do you have specific tasks in mind, such as becoming the first professional photographer in your area to use a drone for shoots? Are you thinking about growing a business through the use of a drone, or do you simply want to check on the kids while they’re playing in the backyard? It’s easy to spend a lot on a toy you’ll use only a few times. Also, many drones are still basically in the beta stage and there are probably still some kinks to work out. Remember what CD players were like when they first came on the market in the 80s? They were big, clunky, and nowhere near to the quality they achieved a few years later. You might be disappointed by how long the charge holds or how well you can control your drone. Drones are still so new that the Federal Aviation Administration (FAA) is still trying to establish exactly what should be legal and what shouldn’t. Even the smallest drones in flight have the capacity to interfere with other aircraft. The laws may be evolving differently, depending on where you live and/or plan to fly, so make sure you check on those first. Otherwise, you might get stuck owning a drone that’s basically grounded. There’s no point in paying more for the device that flies higher if you’re not legally (and safely) able to do so. 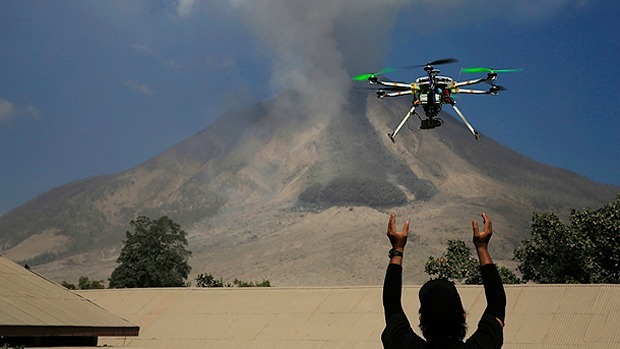 Most important, remember that drones (even the budget-friendly ones) aren’t toys for kids. They can be dangerous in the wrong hands and even risk infringing on privacy laws. Make sure everyone in the house knows the rules and kids are steered away from flying drones alone. It should always be safety first. Besides, Mom and Dad need their time with the latest toy.